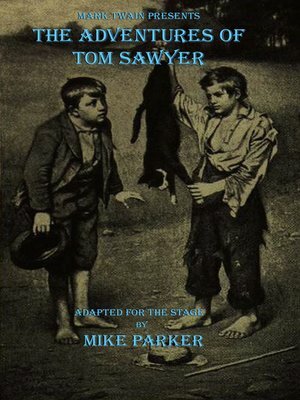 When The Adventures of Tom Sawyer first appeared in 1876 it was a dismal failure, selling fewer than 24,000 copies during its first year on the market. It wasn't until Mark Twain published his masterpiece, The Adventures of Huckleberry Finn that Tom Sawyer truly gained an audience, perhaps due to the rapscallion's brief appearance in that novel.Tom Sawyer, perhaps even more than Peter Pan, is the icon for eternal boyhood. Whether playing hooky from school, exploring the depths of a cavern, romancing a fair maiden, hunting for buried treasure or even attending his own funeral, Tom is an endearing composite of brash American confidence, unbridled enthusiasm and fresh-faced naivety, and he is certainly one of Mark Twain's most memorable characters.Although Twain gained his initial reputation as a newspaper reporter, his was a storyteller at heart, winning fans with his sparkling wit and keen observations of human nature in such popular tales as The Celebrated Jumping Frog of Calaveras County and A Connecticut Yankee In King Arthur's Court. It is fitting that Twain himself should be a primary character in bringing Tom's story to life on the stage in playwright, Mike Parker's, delightful adaptation, Mark Twain Presents The Adventures of Tom Sawyer.